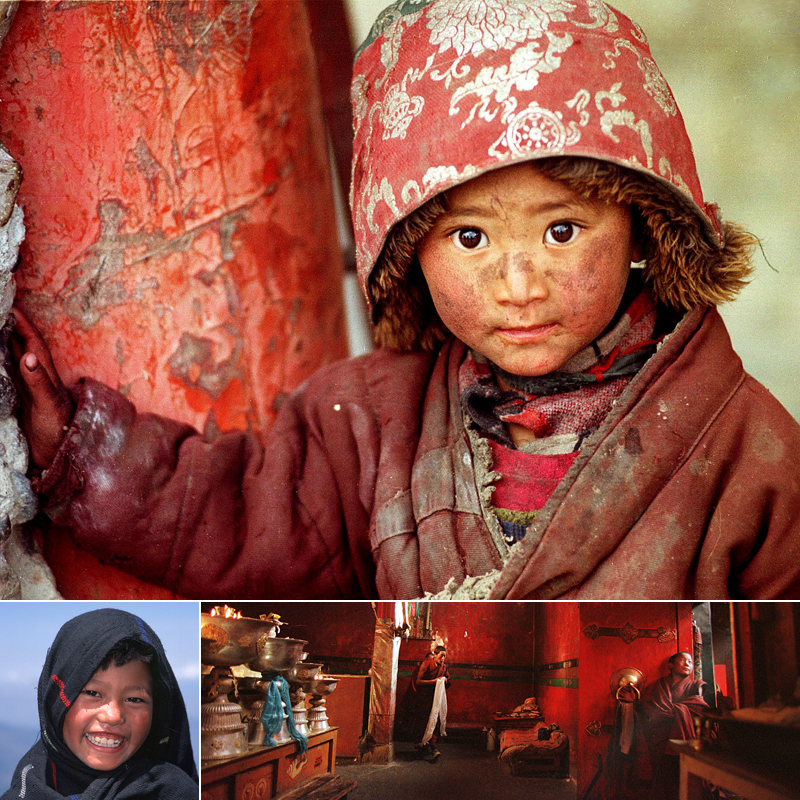 Overview: The homelands of Tibetan / Himalayan peoples are split by the massive Himalayas, the world's highest mountain range. Over time the political and spiritual histories of these groups have diverged considerably. The peoples of this affinity bloc are indigenous to nine countries, but only in Myanmar and Bhutan do they constitute a majority. Many of these small people groups live intermingled with Southeast Asian peoples, South Asian peoples or East Asia peoples, yet they retain distinctive cultural identities and in many cases retain use of distinctive languages. Some of the world's least evangelized peoples are represented among the 14 Tibetan / Himalayan people clusters.